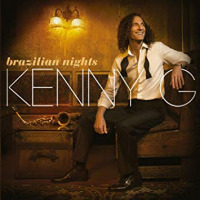 Kenny G has been categorized as a jazz musician by record companies simply because he plays saxophone. The reality is that his style is actually banal pop consisting of repetitious melodies with short passages of bland improvisation and, occasionally, long-held notes to show off his grasp of circular breathinga technique Clark Terry and Rahsaan Roland Kirk employed in the construction of genuinely interesting solos. The good news is that G has changed direction in several ways with this CD, as its title suggests. First of all, the permed hair is gone (even though the perma-stubble remains), but the real surprise is that everything is real jazznot the greatest jazz, but undeniably jazz. Alternating between soprano and tenor saxophone, G pays tribute to numerous jazz greats, not trying to mimic their unique styles but capturing the flavor of their music. His soprano tracks honor Sidney Bechet, Johnny Hodges, Steve Lacy, John Coltrane and David Liebman, demonstrating that he knows his jazz history and including some unexpected choices. The tenor selections pay homage to Coleman Hawkins, Ben Webster, Stan Getz, Sonny Rollins and Wayne Shorter. G's only accompanist is the equally versatile but still up and coming Israeli pianist Avishai Shvindl. Will more music like this be in store? Track Listing: Petite Fleur; Rifftide; Jeep’s Blues; Did You Call Her Today? ; Wickets; Stan’s Blues; Naima; St. Thomas; Annubis; Miyako. 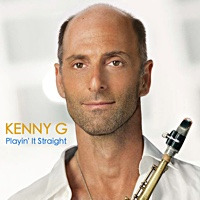 Personnel: Kenny G: soprano saxophone (1, 3, 5, 7, 9), tenor saxophone: (2, 4, 6, 8, 10); Avashai Shvindl: piano.